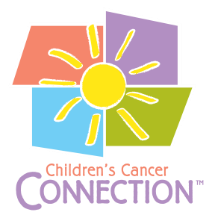 Children's Cancer Connection's My Journey Series includes a variety of hospital and clinic based programs, click on a program to learn more. A family resource binder is given to each family at the time of diagnosis. The binder serves as a place to organize and keep information and all things important along the childhood cancer journey. Each family has the opportunity to personalize the content with each new treatment phase. A child's cancer treatment includes countless medical procedures and experiences. The Beads4Bravery program is a way for children to collect beads that symbolize each step of their cancer journey. Each child ends up with string of beads that tells their own unique story. Children feel empowered by earning Bravery Bucks for the parts of their treatment that cause the most distress. Bravery Bucks are then redeemed through the Courage Store that is packed with prizes and incentives to keep kids motivated and feeling empowered. Every now and then you may meet a member of Children's Cancer Connection staff at your hospital or clinic. It's a great chance to ask questions about programs and to learn about anything fun that we have going on. For information about hospital-based services, please contact us at Support@ChildrensCancerConnection.org or 515-243-6239.